Ours is the known name involved in the exporting and supplying of Fresh Red Onion. We source red onion only from the reliable cultivators who make use of only organic methods of cultivation. Fresh Red Onion that we offer is used for preparing various delectable cuisines as well as different food items. 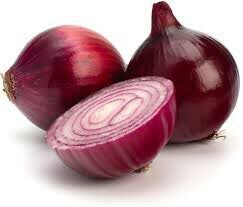 Obtain from us, bulk quantities of Fresh Red Onion at very reasonable rates.